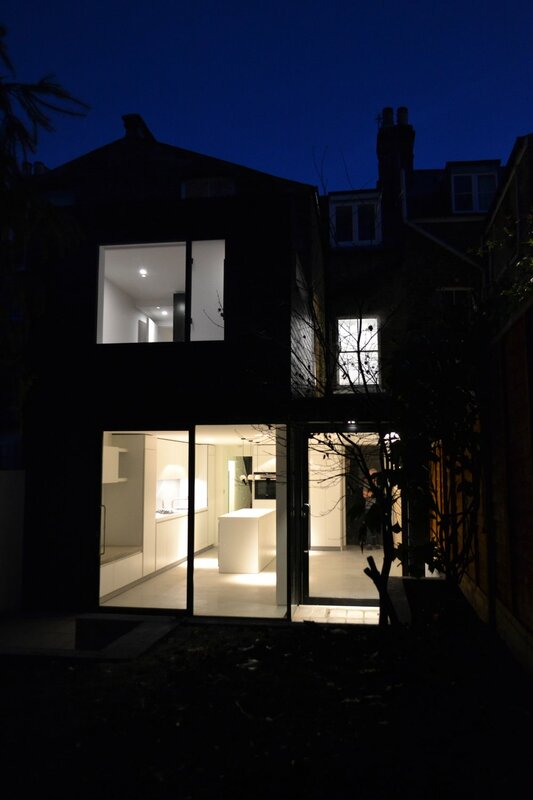 MTA completed a slick, contemporary addition to a Victorian terrace in Grove Hill, Camberwell Conservation area. The existing rear addition with sloped roof was replaced with a black timber box - adding a striking modern addition that contrasts against the period property, whilst complimenting the neighbouring black slate roofs and existing rhythm of openings. We developed the brief with the clients and incorporated their modern tastes using a contemporary monochrome palette of raw materials. The exterior black timber cladding reflects the natural garden setting, and is contrasted with a predominantly white interior with polished concrete floor. The monochrome palette is softened slightly by the London stock brick flank wall, which ties back into the original property history. The extension is cleverly divided into different uses with the dining zone framed by the large linear roof light and black framed door, and the structural bookcase and concrete bench creating a sitting / reading zone while framing views out to the garden. 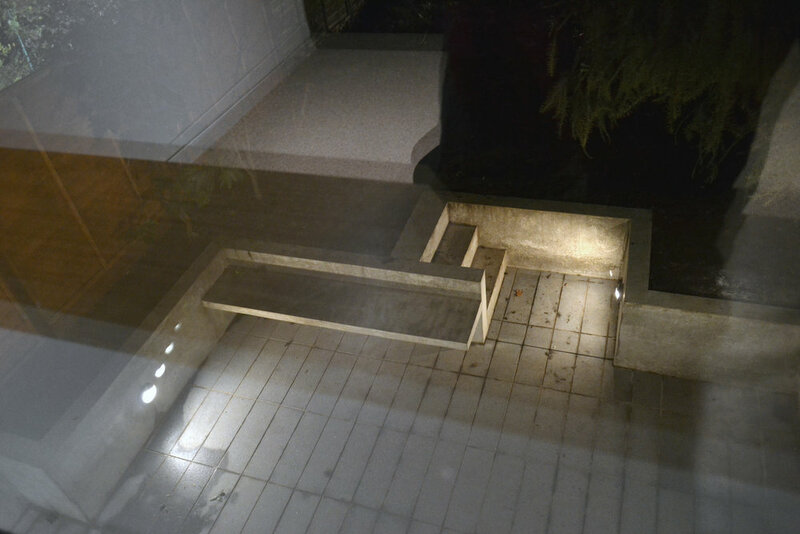 A granite-tiled terrace is cut into the garden and framed with a concrete bench. The island bench defines the kitchen within the multi-use family space, which has a slick, minimal aesthetic sculpted in pure white with stainless steel and clean lines. This theme is continued in the bathroom with white linear joinery and concrete-effect porcelain tiles. Strip openings tie in with the horizontal timber cladding, and the flush, frameless windows continue the minimal contemporary aesthetic, which reflect the surrounding trees and sky. Upstairs in the study, the large square opening frames views of the garden from the oak desk.